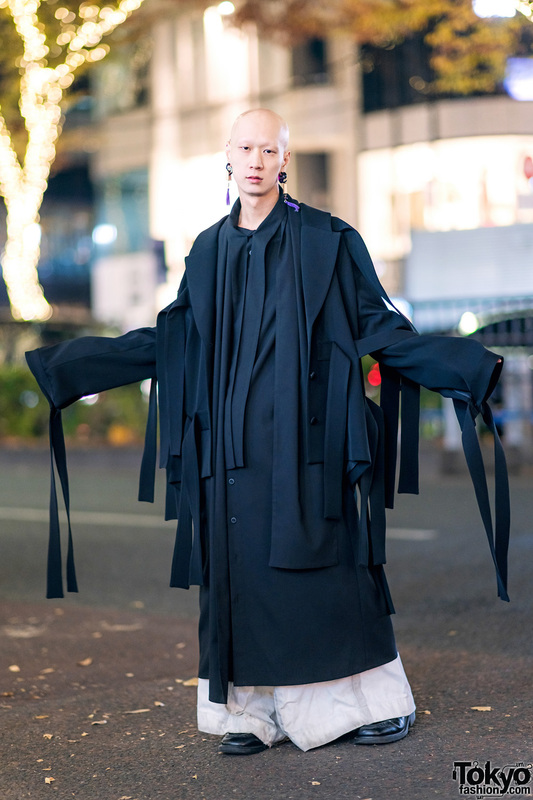 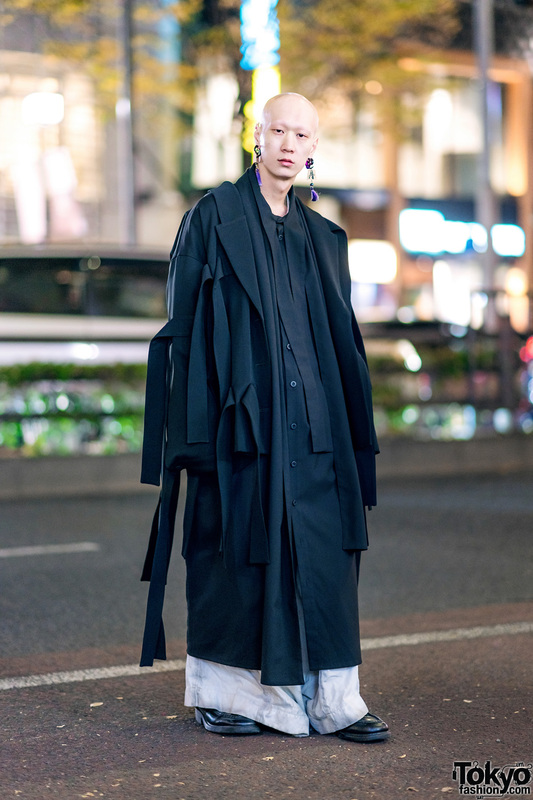 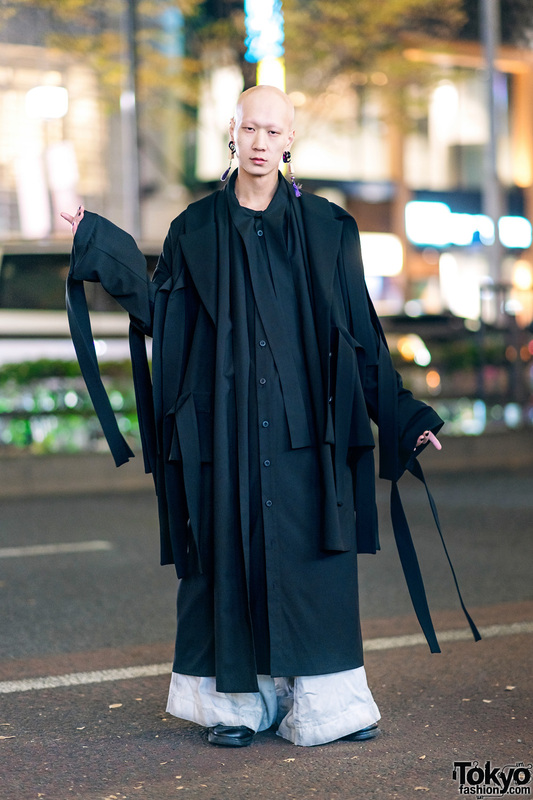 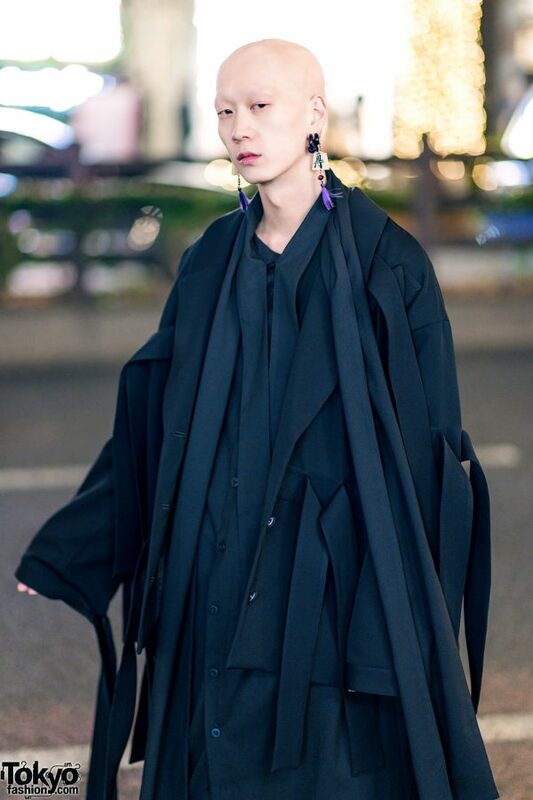 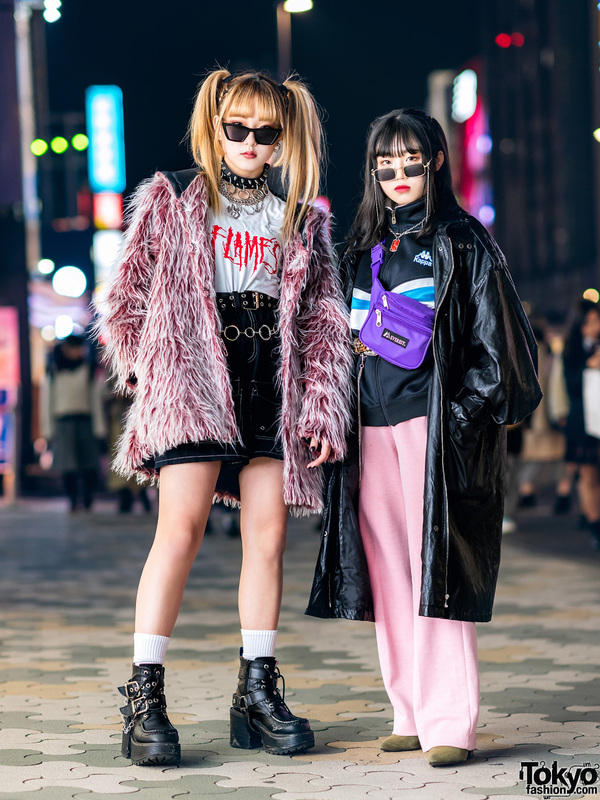 We spotted a familiar face in Harajuku – Japanese model and musician Shouta, who has graced this site on several occasions due to his eye catching street styles. 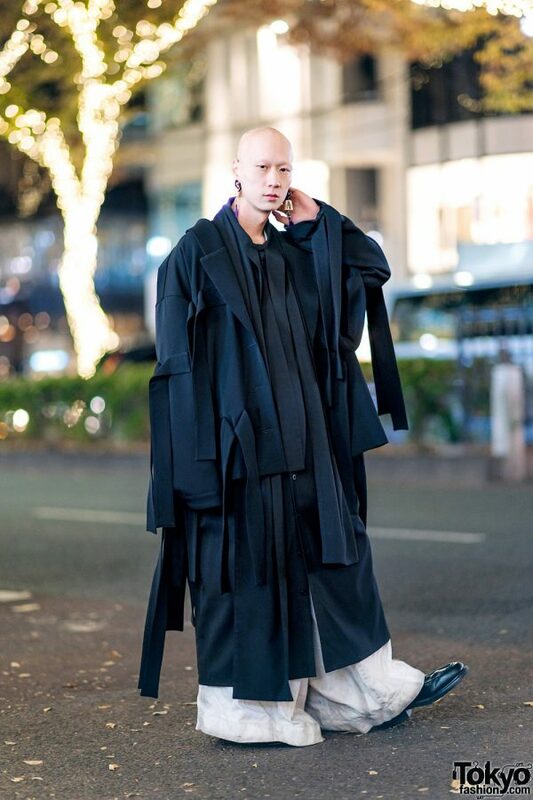 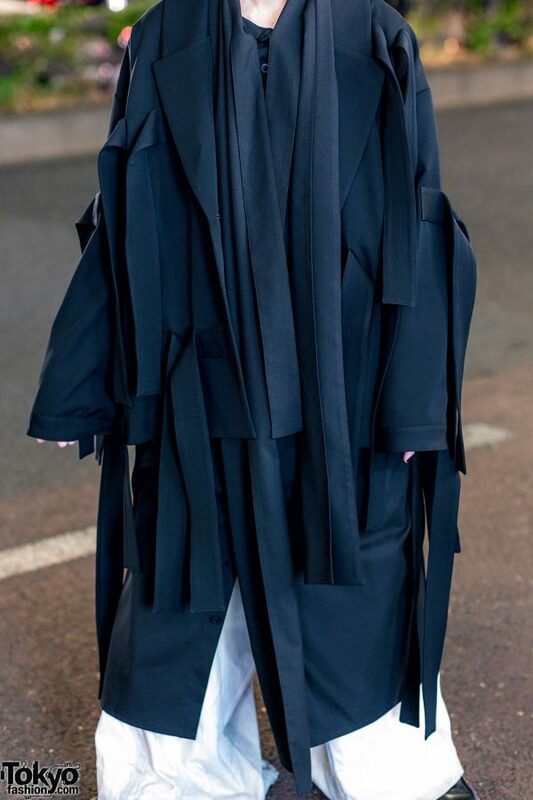 This time, Shouta was clad in an in an oversized deconstructed KEMONO Japan coat and a jacket. 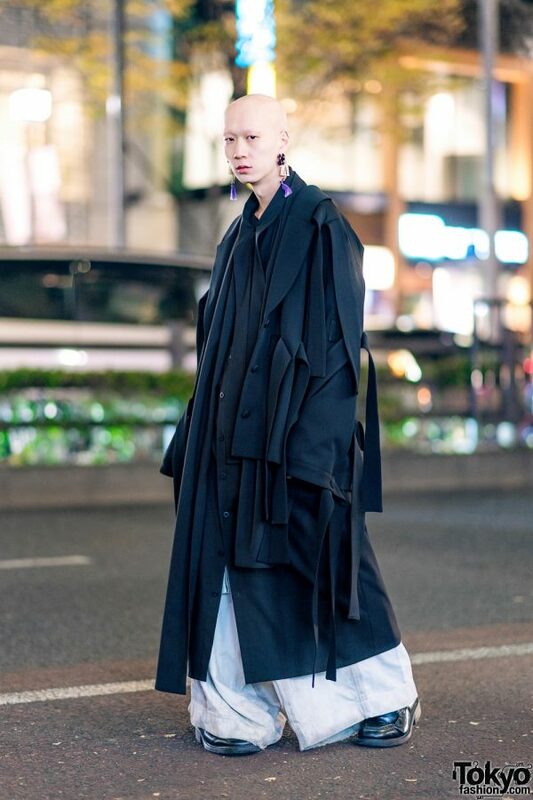 He styled them with cream-colored extra wide-leg pants from Nozomi Ishiguro and black leather shoes from Dr. Martens. 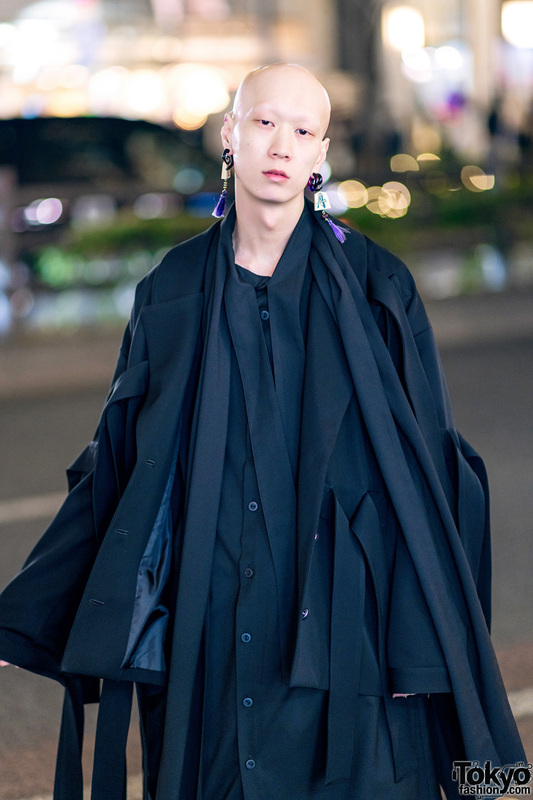 His bald head, black ear piercings, and dangling earrings with purple tassels finished off his look. 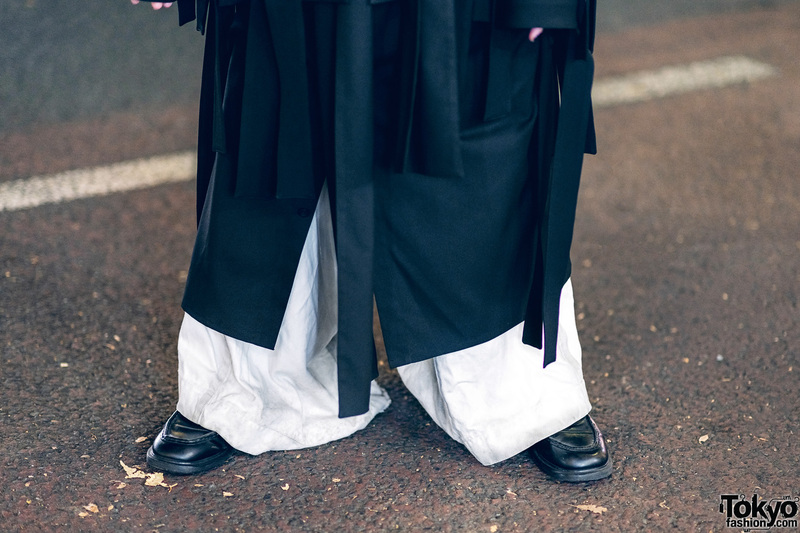 As for his favorites, Shouta loves clothing brand Kemono and listening to rock music. 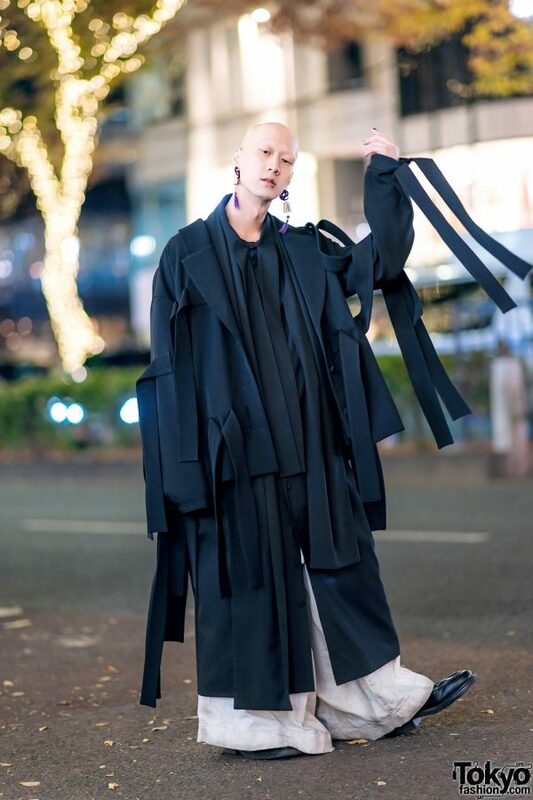 Follow Shouta on both Instagram and Twitter to keep up with his social media updates.